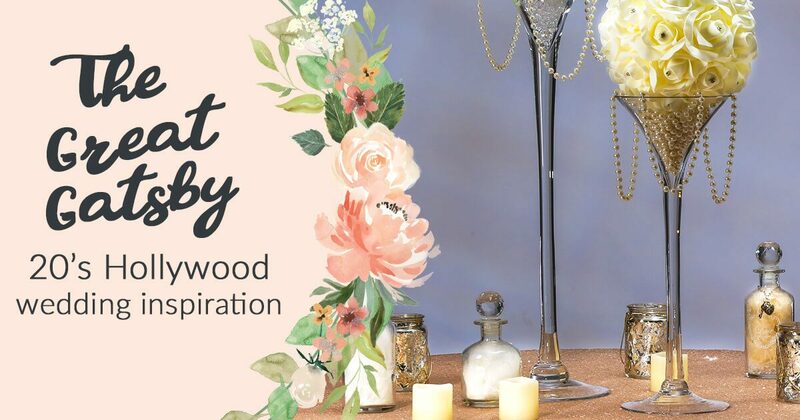 If you are looking for a sophisticated and elegant wedding that will stand the test of time, what could be more perfect than a 1920’s inspired Old Hollywood Glamour wedding? Striking black/white/red colour schemes can add drama and mystique, or tone things down with a white/champagne/pearls colour scheme instead. From little touches on the invitations to full-on ostrich feathers and diamonds, here are our Top 10 Old Hollywood Glamour wedding ideas. 2. Let your bridesmaids sparkle! 3. A floor-length lace wedding dress oozes sophistication and Hollywood Glamour. 4. Swap your floral bouquet to a sparkling brooch bouquet. 6. Add some drama to your centrepieces with ostrich feathers and a black, white and red colour scheme. 8. Giant light-up letters are a glamorous and personal way of lighting a dark corner in your venue. A traditional white tiered design looks spectacular with a few simple gold accents. 10. And finally, what Old Hollywood themed wedding could be complete without a champagne tower? 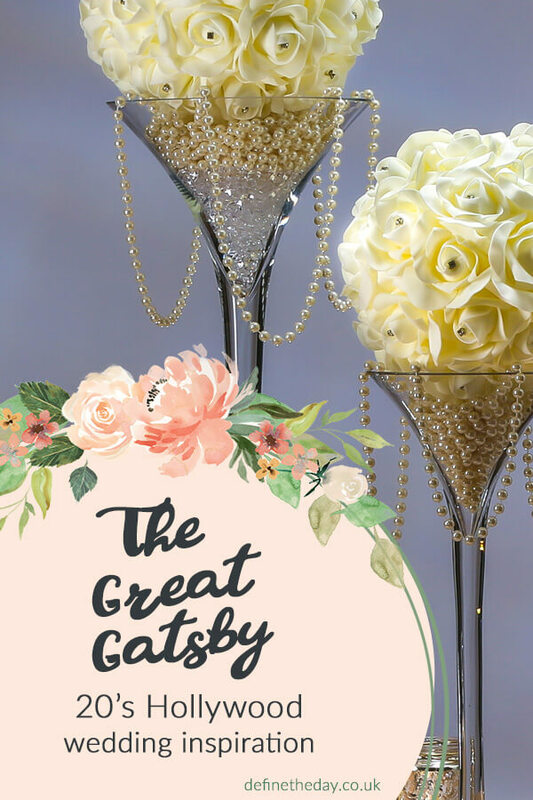 We have loads more Great Gatsby / Hollywood Glamour wedding inspiration on our dedicated Pinterest board. Click the box below to view them all. 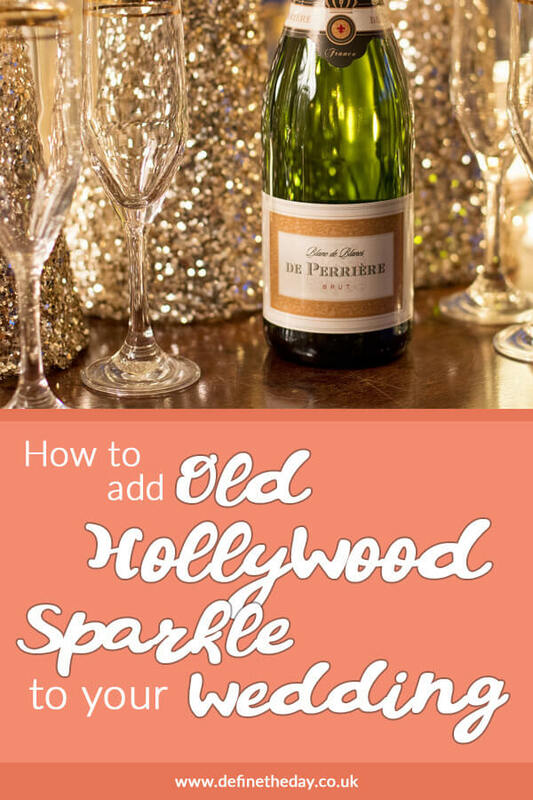 Follow James’s board Theme: Old Hollywood Glamour | Wedding Inspiration on Pinterest.